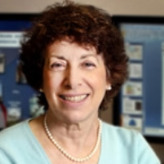 Linda S. Birnbaum began serving as the Director of the National Toxicology Program and the National Institute of Environmental Health Sciences (NIEHS) on March 13, 2009. Based in Research Triangle Park, North Carolina, the NIEHS has a $684-million-dollar budget that funds biomedical programs, including community outreach, and prevention and intervention projects. 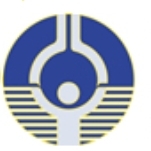 As a component of the National Institutes of Health, the agency supports several hundred research grants. The National Toxicology Program works to safeguard public health by identifying the effects of chemicals used in everyday items and at what level of exposure they have the potential of becoming hazardous to humans. Birnbaum is the first woman and the first toxicologist to hold the position of NIEHS director. Birnbaum was born in Passaic, New Jersey, on December 21, 1946. She earned a B.A. in biology at the University of Rochester in 1967. At the University of Illinois, Urbana, she added an M.S. in microbiology in 1969 and a Ph.D. in microbiology in 1972. After doing post-doctoral work at the University of Massachusetts, she was an assistant professor of science at Kirkland (Hamilton) College in Clinton, New York. She then spent four years (1975-1979) doing research at the Masonic Medical Research Laboratory in Utica, New York. Birnbaum moved to the National Toxicology Program in 1979, first as a senior staff fellow and then, for nine years, as a research microbiologist. In 1989 she became head of the NIEHS’s Chemical Disposition Group, and later that year director of the Experimental Toxicology Division at the Environmental Protection Agency, a post she held for 19 years. She is an adjunct professor at the University of North Carolina, Chapel Hill, and at Duke University. She is president-elect of the International Union of Toxicology, and the author of more than 600 published works. Birnbaum’s directorship of the NIEHS came in the wake of congressional investigations into alleged conflict-of-interest activity of the institute’s previous director, David A. Schwartz. Birnbaum and her husband, retired mathematician David Birnbaum, have two daughters and are grandparents. She has served as a cantor at her synagogue.